Following the recent salmonella cases in KwaZulu-Natal, Wendy Knowler gives us an update on the story in today's Consumerwatch. 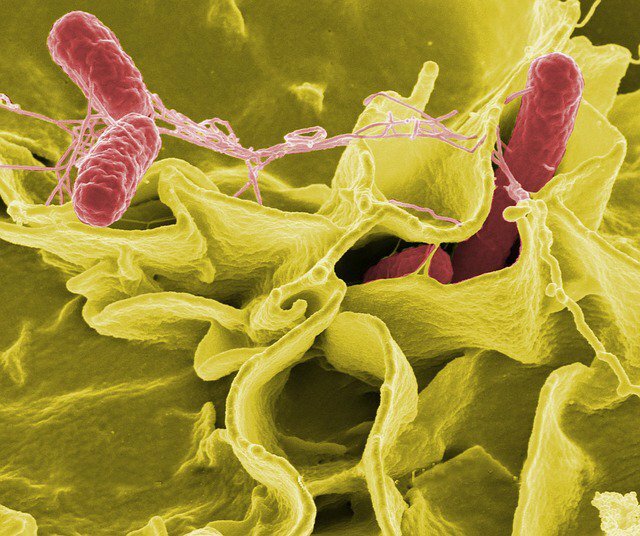 Is the salmonella story an 'outbreak' or not? Well, provincial and local health authorities were at pains to play down the story at a press conference in Durban on Monday, saying that as far as they knew, it was confined to one Umhlanga restaurant - Old Town Italy. The Centre for Disease Control and Prevention (CDC) defines a foodborne disease outbreak as "when two or more people get the same illness from the same contaminated food or drink”. So at best we’ve had a number of outbreaks in the greater Durban area in the past month or two. The story broke Friday before last with the news that about 20 people got salmonella from Umhlanga restaurant Old Town Italy, and because most of them ate the hollandaise sauce, eggs were named as the likely culprit. The restaurant responded by stopping the production of their own hollandaise sauce, quarantining all bacon and egg products, and switching to new bacon and egg suppliers, announcing that there’d been no fresh cases since those “precautionary measures”. Then came the unexpected, puzzling news that their previous egg supplier had tested negative for salmonella. Contaminated eggs in a dessert containing eggs were also thought to be the cause of 15 people out of 20 who attended a potjie competition at a private home in Assegai falling severely ill two weeks ago, seven of them - including three children under the age of 10 - being treated in Hillcrest Private Hospital for five to six days. I’ve since heard that the supplier of the eggs in that dessert fetched the remaining eggs in that pack and had them tested - and they were clear of salmonella. So, it wasn’t the eggs that put those people in hospital, it seems, but we don’t know what it was! I haven’t endeared myself to the local egg industry in covering this issue, and understandably so. Eggs were suspected because of the Old Town Italy hollandaise link - the sauce being made with egg - but to date, as far as I know, no batch of eggs, egg farm or egg processing facility has tested positive for salmonella. Players in the local egg industry speculated that a batch of eggs imported from Brazil could be the source - not so, says the importer, they’re salmonella free. Others said barn eggs - a more animal-friendly, ethical way to keep egg-laying chickens than in cages - could be a source, because of an increased risk of the eggs coming into contact with chicken faeces, but outraged barn egg suppliers have said there’s absolutely no evidence of that. “We are a small ethical business trying our best to produce a quality, healthy product,” one barn egg producer said. Bottom line - there’s absolutely no evidence that eggs were the source of any of the outbreaks, or that they are unsafe in any way. The four children who attended a Cowies Hill creche and fell ill with salmonellosis did not eat any food containing egg at the creche. Someone else who ended up in hospital with salmonellosis is Jennifer Harris of Pinetown - she spent seven days in Hillcrest Private Hospital last week, having fallen ill after attending a corporate Christmas party on the night of Friday November 2. On Sunday morning, she was admitted to hospital with agonising stomach cramps. She was put in an isolation ward, given disposal plates and cutlery, and couldn’t see her toddler son for the entire week. Caren Martin’s 22-year-old son Jordan, a rugby player who has a couple of raw eggs in a protein shake every day, fell ill on October 3, was admitted to Hillcrest Private Hospital two days later, and remained there for the next five days. Again, there’s no evidence to suggest that the eggs he consumed were the source. Doctors at the Durban head offices of pathology labs Lancet and Ampath both told me that they’d seen a spike in Salmonella cases in October/November, which is unusual - the numbers usually go up in December. Oh, and it’s not possible for a lab to pinpoint from which food source - for example, eggs, meat or vegetables - a person’s Salmonella came. The good news is the numbers have tapered off this week. So how do we minimise our chances of getting some kind of food borne disease?